Sep 01, 2011 in "Splitsville"
The changes keep coming at Downtown Disney, and today we have a look at the latest new development - Splitsville. Yesterday saw the moving of Ridemakerz to their new location in the Marketplace, which frees up the former Virgin MegaStore for redevelopment into Splitsville. The construction walls are already in place for work to begin, and some of the wall posters reveal a few interesting new details. 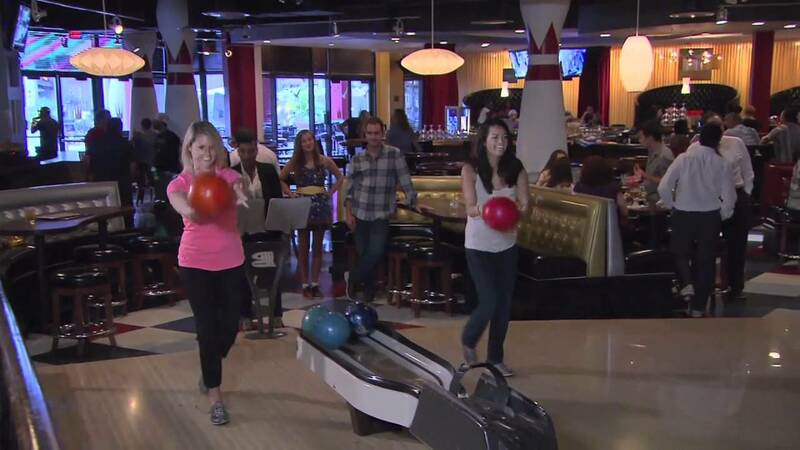 Splitsville will feature 30 bowling lanes, live music, menus including sushi, and we now have an opening timeframe of Fall 2012.